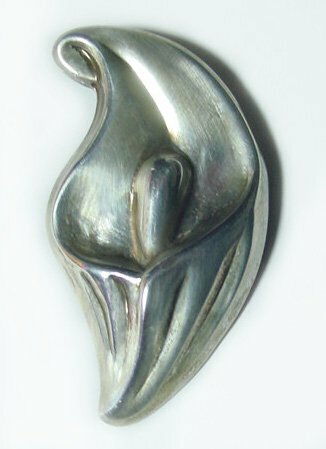 The molded form of this 2 3/8" tall vintage sterling figural brooch sinuously depicts a calla lily bloom. Safety clasp closure. Very good condition and probably dating to the 1940s. The calla lily is native to swampy areas of South Africa. The showy flowers come in various colors and white.